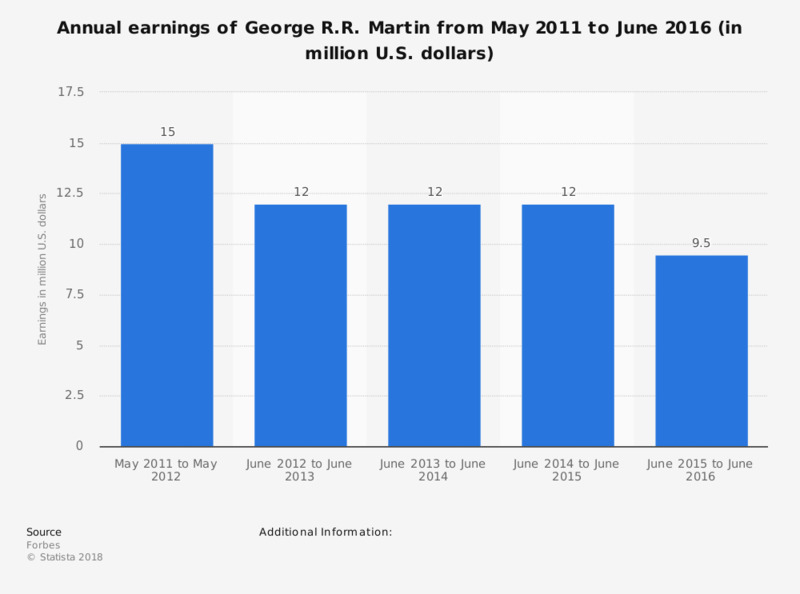 The statistic presents data on the annual earnings of George R.R. Martin from May 2011 to June 2016. The author earned 12 million U.S. dollars in the period June 2014 to June 2015. Figures for the period May 2011 to June 2015 come from earlier Forbes reports. Everything On "Game of Thrones" in One Document: Edited and Divided into Handy Chapters. Including Detailed References.